Content replacement is the most frequently used interaction type by BlueConic customers. You can modify existing content or add completely new content to your site or app with dialogues making use of the content interaction type. Select “Add Dialogue”, and you’ll be brought straight to the “Who” tab of dialogue configuration. Enter a name for your dialogue (e.g. “Repeat visitor welcome message”) and use the bar beneath the “Who” tab to select your audience. Today, we'll create a segment on the fly. Select "Create your own segment", and enter "Visits" into the search box. Enter a value of "2" next to "Minimum". After making your selection, click the “Where” tab and select the channels/pages you’d like the dialogue to be visible on. For this dialogue, I'm happy with the optimization being displayed on any page in the channel that has the login position I'll be working with. If desired, restrict your dialogue to only appear on specific pages by clicking "Add Rule". From there, select the “Interaction” tab and make sure the content plugin is selected in the “Properties” menu at the right. It should be selected by default. Click "Add Variant" two times. Variants will automatically be created, giving you three total variants to work with. You will also notice a new "Optimizer" tab is added to the dialogue navigation. In the "Properties" menu at the right, additional options will now appear. You may change the name of your variants (tip: give them relevant names, as they will appear in reporting later! ), and enable/disable the variants here. Switching between variants can be done with the variant dropdown list that appears in the dialogue navigation (shown above). For our example, we're going to keep the default content in one variant as a control, and we'll apply names of "Control," "Exclusive offers," and "To view special offers" to the variants. Once your position is selected, click 'Edit' and modify the content accordingly. At first you will be in a mini-editor, and you have the options of selecting a larger rich text editor or an HTML editor. If there are any links that should feed data into the optimizer (both links, in our example), be sure to explicitly hyperlink them through the editor by clicking 'Edit' and 'Apply'. This will ensure that the variant receives credit for clicks to these links. The off/on indicators appear as yellow because the dialogue as a whole has not yet been enabled. When enabled, they would turn green and the distribution will be updated to reflect the current distribution based on your selection. If we use "Rotating", the optimizer will evenly distribute the variants, starting with a random selection and progressing through the order displayed. If we select "Automatic Optimization", BlueConic will automatically distribute variants to maximize your goal metric. We can also choose "Exclusive" to set the distribution manually and make sure that visitors see only one variant, even on return visits. For more information on the optimizer, please view the video and read the content under "Using Optimizers". Immediately upon activating your dialogue, you will notice metrics in the Optimizer tab being updated when you access the page. Eager for more data? 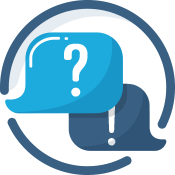 Head to the insights tab and set up some dialogue insights widgets or variant insights widgets for real-time analysis on your new dialogue! Thank you! Looking for more quick wins?